In June of 2016, JackWasFaster and TALKTOME played separate live sets at the Dome Stage at Sonar Festival as members of the Red Bull Music Academy. Later, in an interview on one of Spain's finest electronic music radio shows Lapsus, they were asked about the possibility of a collaboration. 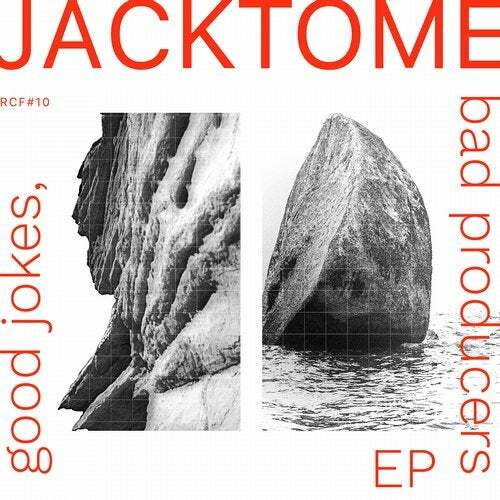 At the time everyone laughed at the idea, but a year later this has become a reality with their first EP as Jacktome on Rotten City Records. The first track "Hit the road, Jack" is a dark banger which combines catchy vocals with acid lines, distorted guitars and leads which has already been shaking dance floors at JackWasFaster's live sets. The other two tracks, two versions of "The Reason" are slower, lighter, with Nu-Balearic flavor pieces that share some phased beats but in two different directions. The "Raw Vision" keeps the attention on the bass and drums while the "Soft Vision" is a colorful piece of house with a groovy Juno bass, an arp that leads to eternity and pads reminiscent of old school tracks like Funk D'Void's "Diabla".